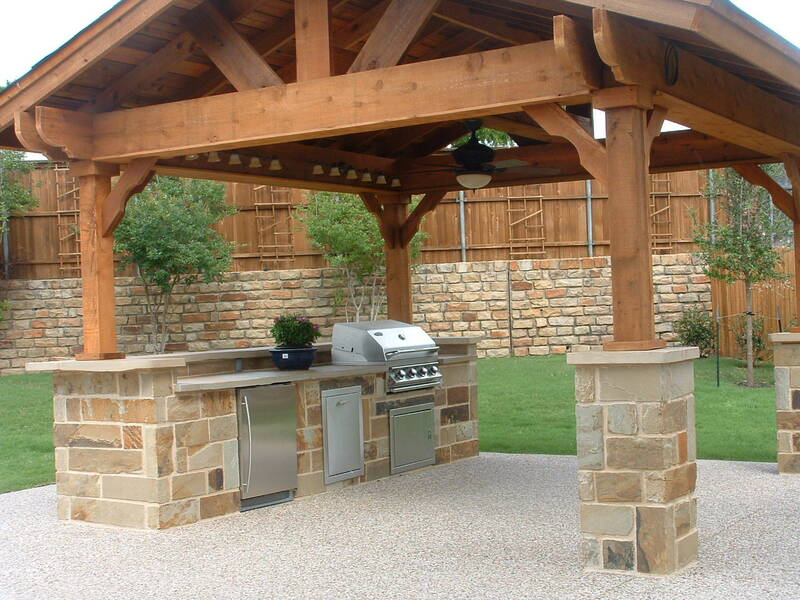 If you plan to build an architectural outdoor kitchen or remodel your existing one, then you have come to the right place at the right time. 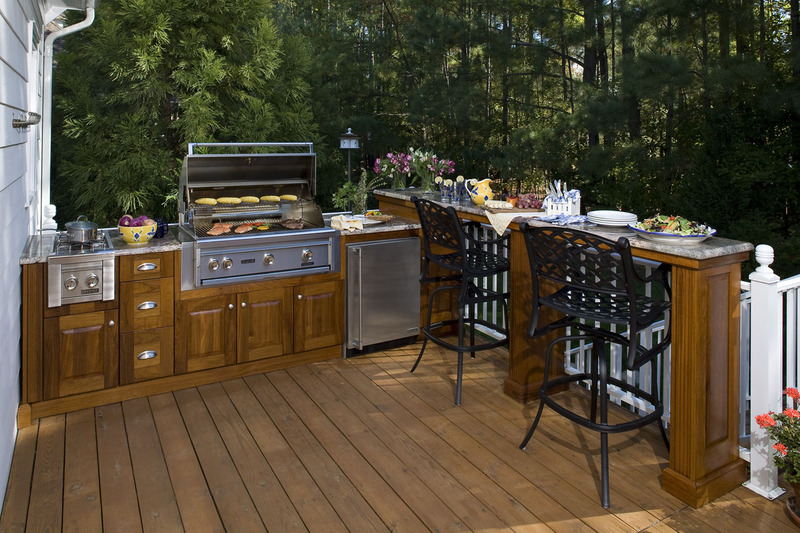 Today, we will share some great tips to help you creating not only a functional outdoor kitchen, but also one that allows you to enjoy the party with family or friends. 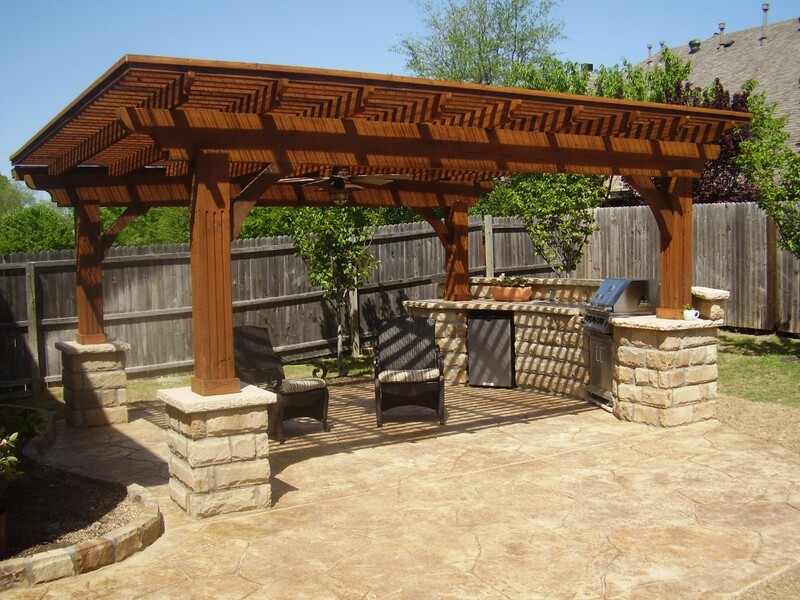 No more running back and forth between indoor and outdoor workspace, especially on a warm afternoon! 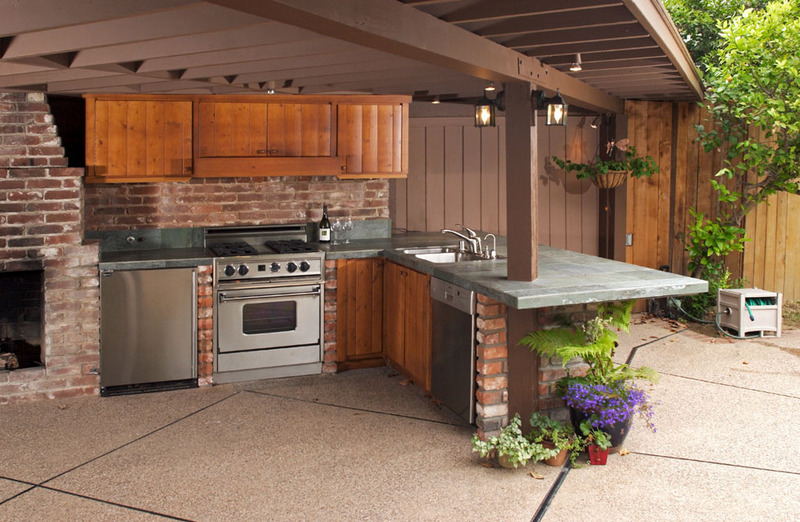 Simply starting from the basic, an ideal and functional architectural design outdoor kitchen should have all the essential zones: prep, serve, clean, and cook. 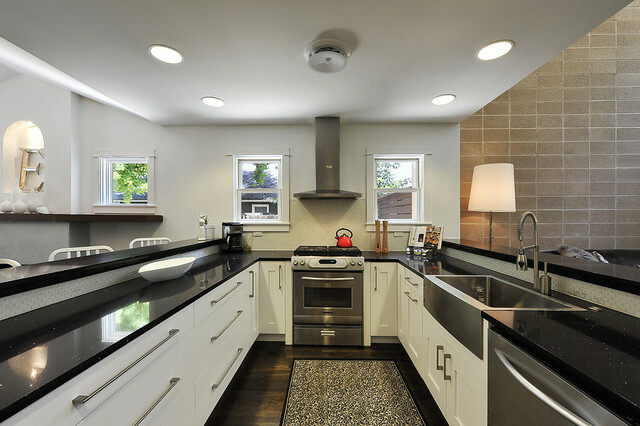 Even so, if you prefer to do the prep work in your actual indoor kitchen, you can consider building a satellite kitchen for outdoor space instead. 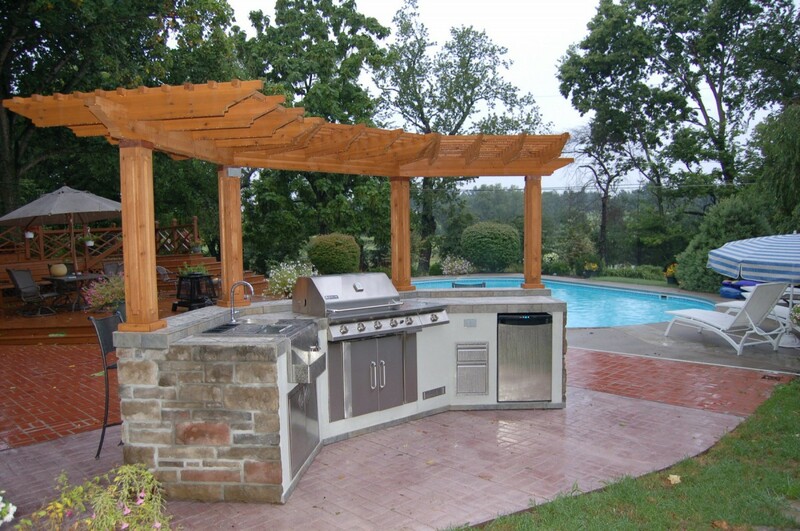 This adjacent outdoor kitchen design style will make moving back and forth smooth, quick, and convenient with everything you need is close by. 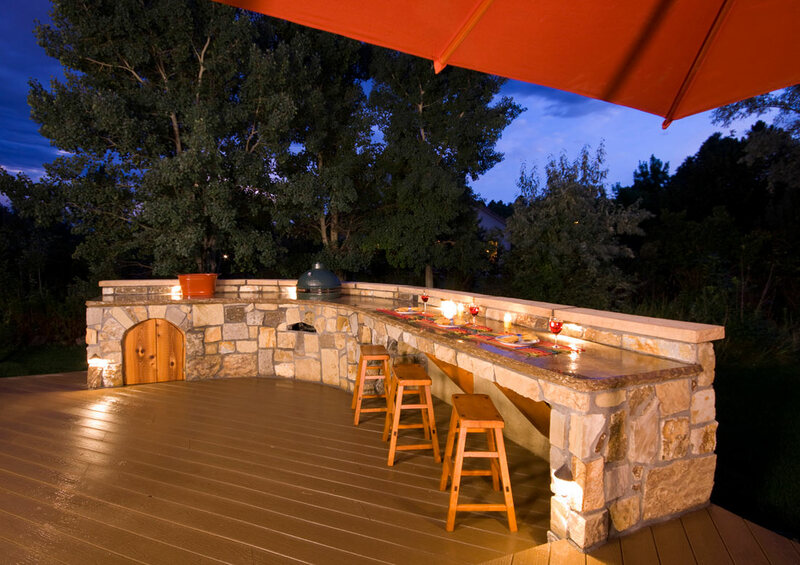 A bar top is a great addition if you plan to entertain your guests in your outdoor kitchen. 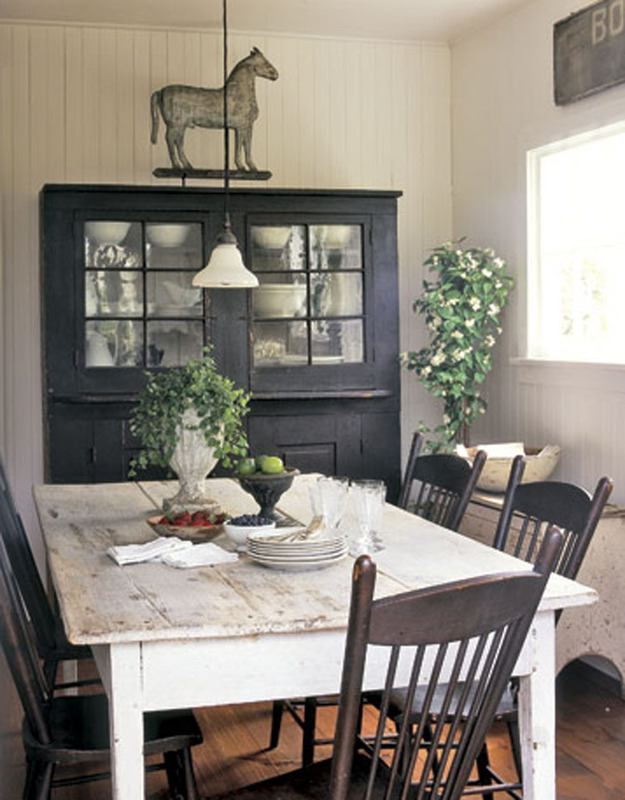 This way, as you prep and cook, your guests can sit and talk with you. 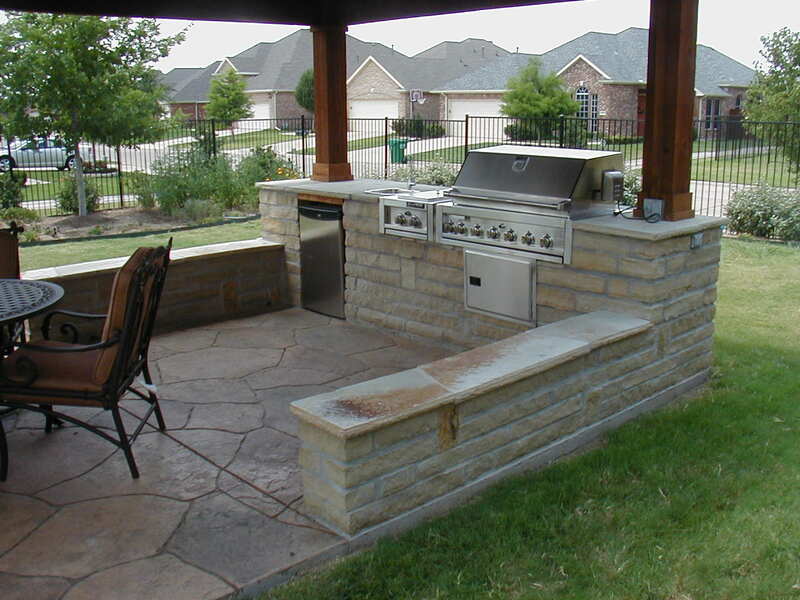 Apart from that, your guests can stay out of the main space of outdoor kitchen without disconnecting the interaction. 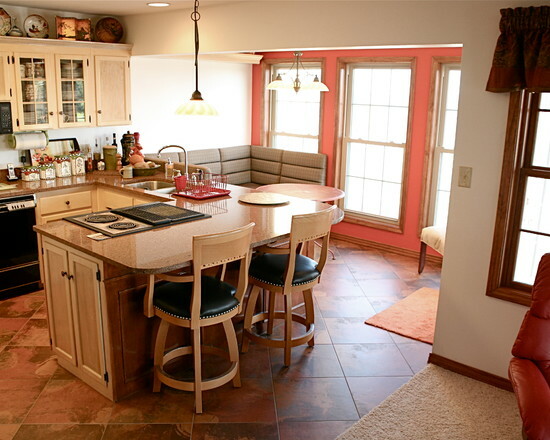 But if you don’t really want to build in the bar top, a long table complemented with bar stools is a great alternative. 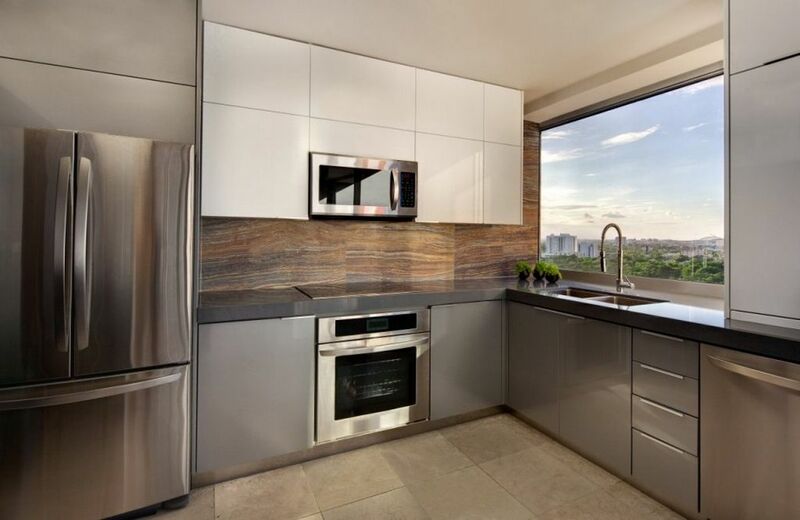 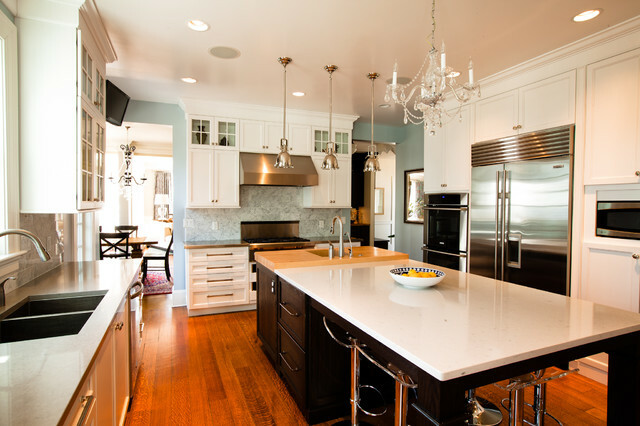 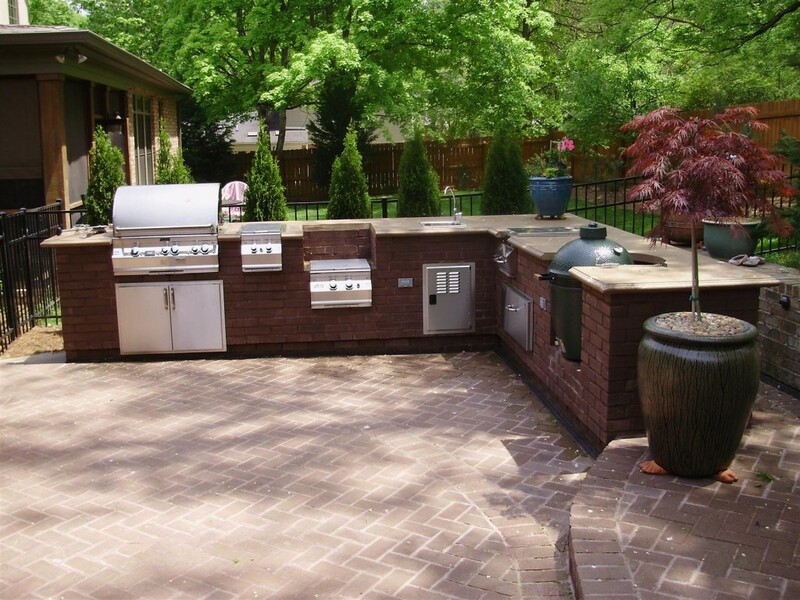 Even better, the space can be used as extra prep zone if your outdoor kitchen doesn’t have enough counter space. 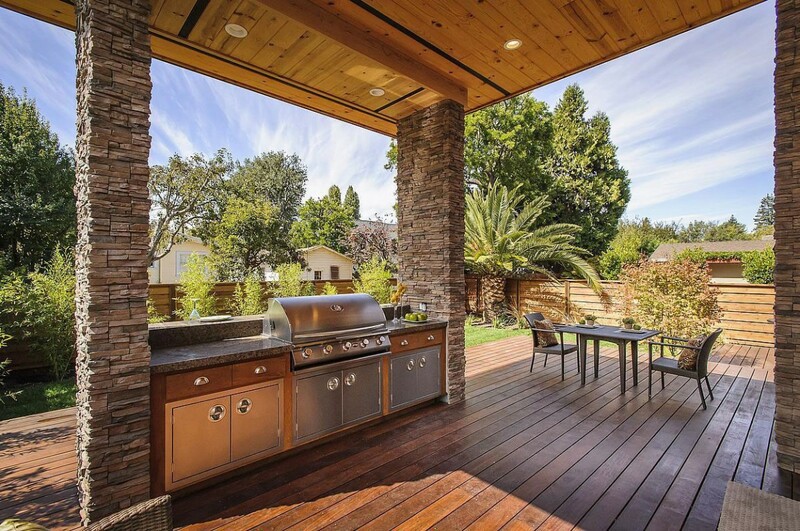 Just like your indoor kitchen, don’t forget to set an outdoor living space close by. 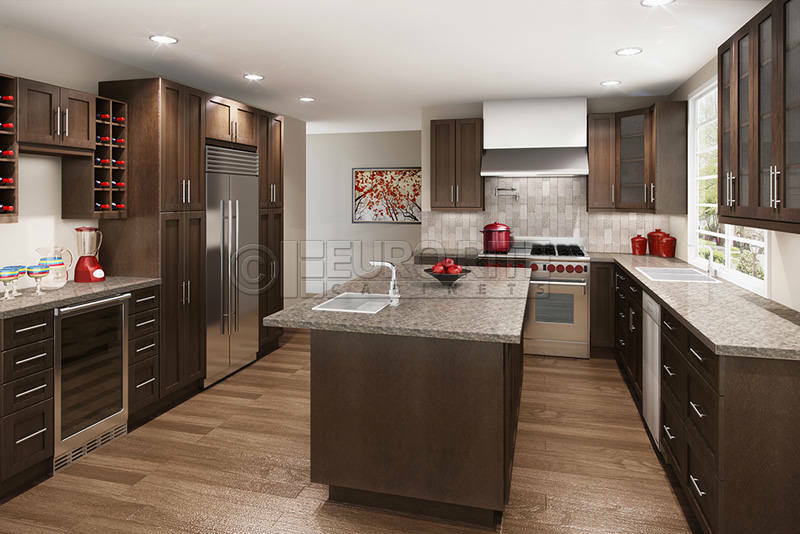 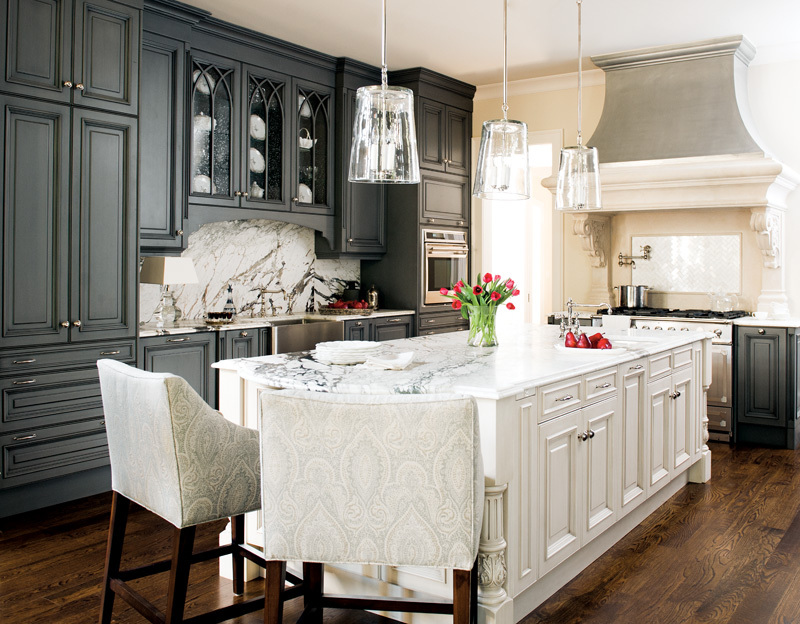 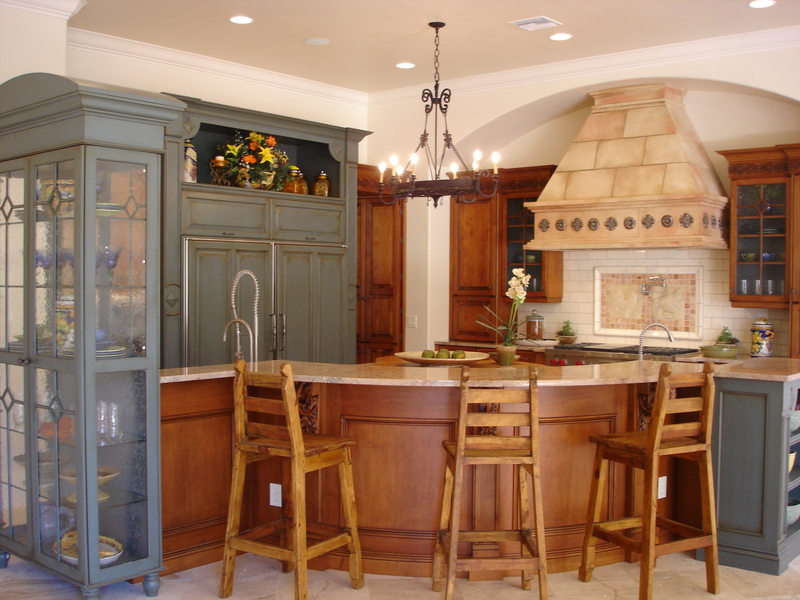 Just like the kitchen bar, you can thus keep your family or guests close by while you prep and cook the foods and they sit, relax, and hang out. 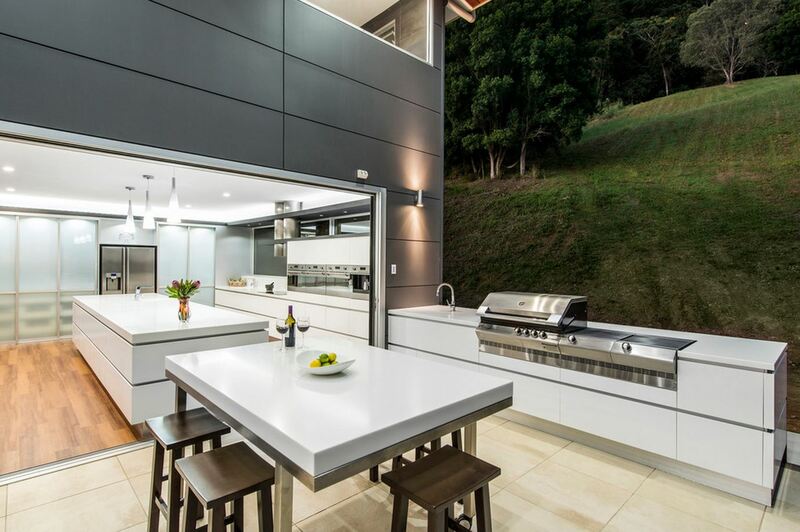 Alternatively, what about creating a family-style cooking experience outdoors by building a large kitchen instead? 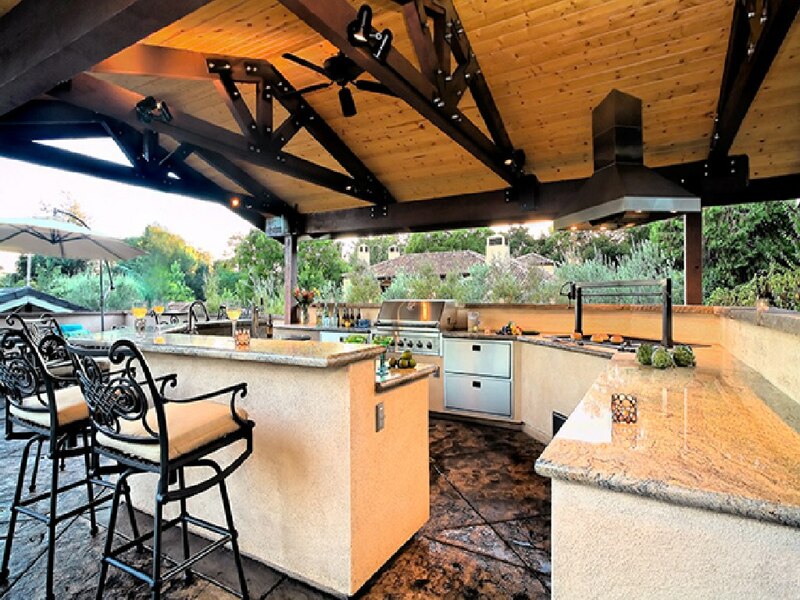 One of outdoor kitchen design ideas here surely will require you plenty of counter space enough for group cooking.